Detroit, MI, December 08, 2017 –(PR.com)– GamerSaloon, an 11-year veteran and pioneer in the esports industry, announced the official Bitcoin integration within its video game tournament platform serving more than 1 Million gamers. The GamerSaloon tournament network enables video game players to compete in skill-based video games for cash prizes. Most competitions are online and played directly on Xbox1 and PS4, and all the popular titles are supported, such as Madden 18, NBA2K 18, FIFA 18, and Call of Duty WWII. Tournaments range in size from over one hundred players to just two, you and your opponent, and cash prizes for each tournament can exceed $1,000. 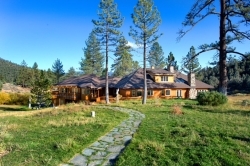 The GamerSaloon community boasts over 1 Million members and offers action 24/7. The process for using Bitcoins to fund your GamerSaloon account is straightforward just like using a credit card or PayPal, especially if you have a Coinbase account already setup. Simply go to the cashier page after you sign up for a free GamerSaloon account and select the Bitcoin option. The entire process can be completed in a matter of seconds. Once funds are in your account, you can use them for immediate action on GamerSaloon.com. GamerSaloon is currently running a 50% bonus on first-time Bitcoin deposits. 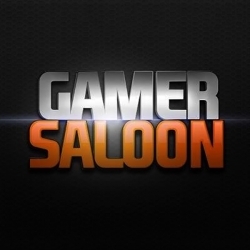 GamerSaloon was founded in 2006 to facilitate video game tournaments for cash prizes. With over 1 Million registered members, and more than 10 years of operational experience, the GamerSaloon platform has awarded more than $48 Million in prizes. Esports action include online tournaments, live events, live-streaming leagues, and social engagements. The GamerSaloon platform is best known for tournaments in sports titles such as Madden, NBA2K, and FIFA, on Xbox1 and PS4.